Do you see a Boy Scout badge anywhere on me? My sister has been talking about this PTO that she has to take at work or she’s going to lose it. She brought up the idea of a camping trip. Not CAMPING camping….if I can’t touch butterfly crap do you really see me out in a tent?…but a cabin in NC owned by a generous friend. I get all excited and I’m all GO GO GO! She used words like MOUNTAINS….RUSTIC…..NO TV. I have a child with cancer, I have to be close enough to drive to a hospital if she should get a fever, a weird rash, a bug bite that turns into a staph infection, have her lips try to fall of her face…she doesn’t do it often, but when she does, Peyton likes to do it big. There I am, mentally figuring out the logistics on this mountain cabin idea and it hits me…. NO TV probably means NO AIR CONDITIONING. I’m right, there are ceiling fans, but it’s up in the mountains so it’s not that hot. Ok, I can live with that. Like a naked newborn wrapped in bacon thrown into the tiger exhibit at Lowry Park Zoo. Again. I have a child in chemotherapy, we can’t go without contact to the outside world, I have to be able to call out in case of emergency. Peter would also go out of his loving mind if he went a week with no contact. Luckily, the cabin comes with a landline phone so we do have communication that doesn’t involve me, a smoky fire and waving a blanket rhythmically. Then we had all the all-time, jaw-dropping, I-don’t-have-a-good-feeling-about-this moment when I wrapped my brain around the fact that there wouldn’t be any internet service. Oh my stars and garters! Which is good in a way because I need to learn to walk away from my technology now and again. It’s bad in a way because I’ve heard detox programs are intense and I don’t know if I want or need my kids to see me with the shakes. I’m by no means a pampered princess, but I do like me some of that good electricity and running hot water and broadband access! Tomorrow we are headed up to the clinic so Peyton can get her bi-weekly fingerpoke. We’ll see how counts are maintaining, but as she’s felt good and looks good, they’ll be in the normal range. Her ANC (count gives us how reliable her immune system is and if she has enough chemo to keep it where it needs to be) was a bit on the high side and if it still is, they might up her dose of 6MP back to what it was pre-fungal infection in May. It’s such a balancing game….keep the counts low enough that we know the chemo is effective…keep the counts high enough that she doesn’t get too at risk for infection and bacteria. After which we have to run home to attend a meeting for the upcoming Pediatric Cancer Foundation’s Cure Kids Cancer Challenge 5K/1M run/walk event that’s in planning for September 13th. By the way, September 13th has been recognized as “National Childhood Cancer Awareness day”. Be prepared, you’re going to hear that A LOT over the next few months! As it rained most of the day today and I was a big old slug after what feels like non-stop racing all summer, the kids and I just hung around the house. So tomorrow I owe them some fun time and we’re going to the clinic…which does not fall under the fun category…then I’m taking them bowling! This should be interesting because now they are all Wii-confident that they’ll be much better bowlers this time around. I’m not even gong to remind them that the ball weighs 5 pounds, 4 ounces more than the remote and there is actual aim involved in a real game. Keep those prayers going for Brooke, Jimmy, Connor and Presley (name:PresleyD)….they’re all still inpatient at the hospital, all still fighting hard against this awful disease. Brooke’s day 8 bone marrow did not come back showing remission, so there will be another one in another week to see if they’ve gotten the cancer under control. It was a much lower blast (leukemia cell) count this time, but not anywhere where it needs to be. No one in her family was a bone marrow match for her either, so pray that a match is found on the registry. Please consider making the commitment to get tested and be a bone marrow donor, you could be the difference in someone’s fight for life. If you’re interested in helping a fantastic bone marrow donor program started by a child who fought cancer and is making a huge impact on the world, please support Tampa native-CNN Hero Award winner Pat Pedreja and Driving for Donors. 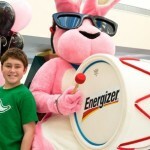 He’s up for 2 awards, the Nickelodeon Kid’s Choice Do Something Award and the Energizer Keep Going Hall of Fame award. Both of these awards would raise awareness for the bone marrow registry and raise much needed funds to keep the Driving for Donors program on the road. Pat and his family registered over 10,000 donors in 2007 and enabled 4 life saving matches! Please help us support Pat and his mission to save lives by clicking on the links below and voting for him. Posted in: adventures at the clinic, blogger stuff, charitable goodness, events and happenings, location location location, Mayhew niblets, Mom memoirs, Seasonal changes, the cancer life, these people are our friends, things our kids do. I love this post! So funny. I also love your spirit and positive outlook on life. I don’t understand why any child should have to get cancer. Your daughter and her friends will be in our thoughts and prayers. If you’ve still got computer access, I’ve got a pleasant summer diversion. I’m running a giveaway on my blog. Please visit Eat Your Veggies soon!